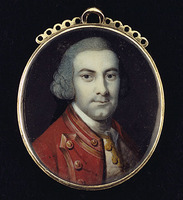 McDONELL (Aberchalder), JOHN, army and militia officer, judge, office holder, and politician; b. c. 1758 at Aberchalder House, Scotland, eldest son of Alexander McDonell of Aberchalder; m. Helen Yates, probably at Fort George (Niagara-on-the-Lake), Upper Canada, and they had one son and two daughters; d. 21 Nov. 1809 at Quebec, Lower Canada. In 1773 Alexander McDonell and his two brothers, John of Leek and Allan of Collachie, led one of the first major migrations of Highlanders to North America, settling on Sir William Johnson*’s estate in the Mohawk valley of New York. At the outbreak of the American revolution young John McDonell returned from Montreal, Que., where he was working in an accountant’s office and on 14 June 1775 became an ensign in Allan Maclean*’s Royal Highland Emigrants. That October he was sent from Montreal, where he was stationed, to arrest the notorious American sympathizer Thomas Walker* at L’Assomption and during the affray he was “wounded in the arm.” By April 1778 McDonell had been promoted lieutenant. 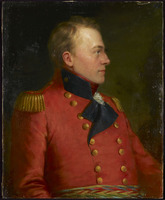 While in Montreal he became acquainted with Walter Butler* and, weary of garrison duty, transferred to John Butler*’s rangers, becoming a captain on 29 August. By this time McDonell was the only senior ranger officer available for active service. 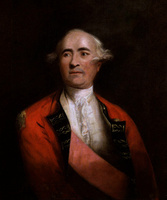 In September he commanded a large ranger contingent supporting Sir John Johnson*’s attack on the Mohawk valley. Having burned their way through the Schoharie valley, McDonell and Brant were mentioned by Johnson as having “contributed greatly to our success” in defeating on 19 October an American force which had sallied forth from Fort Stanwix (Rome). This affair was his last in the field. For the remainder of the war his primary service was as paymaster at Fort Niagara. On 1 June 1782 John Butler wrote to Haldimand, “Capt. McDonell is the most capable officer in the Corps . . . he is also the best liked by the Indians.” The regiment disbanded in June 1784 and McDonell retired on half pay. He appeared on a list drawn up on 20 July 1784 of persons intending to settle at Niagara, but on 25 September he was on a return of disbanded troops residing in Township No.3 (Osnabruck, Ont. ), and on 16 October he was on a similar list for Township No.1 (Charlottenburg). Although most of Butler’s officers settled in the Niagara peninsula, McDonell apparently preferred to live along the St Lawrence River among the Highlanders. Among the isolated post-war loyalist settlements of western Quebec, McDonell’s social stature, his military service, and his acquaintance with Johnson assured him regional and later provincial prominence. On 15 April 1787 he was a signatory to the petition of “Western Loyalists” requesting, among other things, the blessing of the British constitution, English land tenure, aid to the Church of Scotland and the Church of England, and the establishment of schools. This pressure resulted on 24 July 1788 in the organization of four new administrative districts and McDonell was a reaper in the harvest of new local offices. He was appointed to the land board of the Luneburg District along with John Munro* and Richard Duncan among others, and was reappointed to its successor, the land board of Glengarry and Stormont, on 16 July 1792. 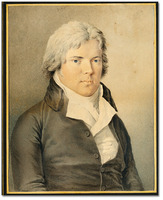 In 1790 McDonell had succeeded his father on the Court of Common Pleas attending all 13 sessions between 1790 and 1794. He was also one of the original magistrates appointed to the district Court of Quarter Sessions but attended only two of nine sessions between 1789 and 1791. 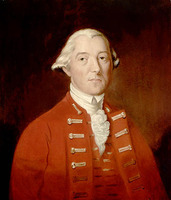 In 1791 McDonell was recommended by Governor Guy Carleton, now Lord Dorchester, in consultation with Johnson, for the Executive Council of the new province of Upper Canada. He was not chosen but his local pre-eminence was recognized by his appointment to the lieutenancy of the county of Glengarry on 2 Nov. 1792 [see Hazelton Spencer]. The almost continuous hegemony of the leading McDonell families in Glengarry extended to politics and ensured the election of McDonell and his brother Hugh* in 1792 to the House of Assembly. 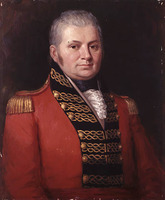 On 17 September McDonell was chosen first speaker of the house of Upper Canada’s first parliament. He was re-elected to the second parliament in 1796, but ill health prevented his attendance until 9 June 1798. He had been replaced as speaker by Surveyor General David William Smith*, who on 11 June moved with unanimous consent that “in order to mark the sense I entertain of his former situation” McDonell be given a special seat immediately to the right of the speaker. Although now regular in his attendance McDonell was rarely prominent. 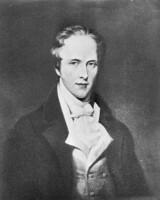 On 20 June he voted with the majority in favour of Christopher Robinson*’s bill extending slavery within the province; on 5 June 1800 he opposed the successful candidacy of Samuel Street to replace Smith as speaker; and on 25 June he supported Solicitor General Robert Isaac Dey Gray’s bill to extend English criminal law in the province. McDonell continued to be slightly involved in military affairs after the revolution as an officer in the local militia. 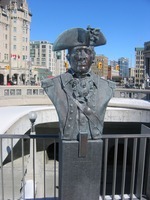 One of the chief concerns of Lieutenant Governor Simcoe was the military security of the province and he saw in the quasi-military society of the Highlanders an untapped resource. Thus in 1792 and 1793 he supported as “both politick & just” McDonell’s longstanding request for “Highland Broadswords” – the traditional weapon of the Highlander – to arm the Glengarry militia. On 1 July 1794 Simcoe recommended him for the majority of a proposed Canadian regiment as “the most proper person . . . within this Province.” Simcoe’s reasoning was simple. 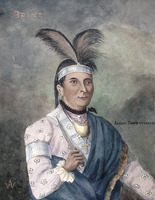 McDonell apparently had influence with the Indians at St Regis (near Cornwall), and his position as a surrogate chieftain in his community meant that “the Highlanders will follow him in numbers.” On 1 June 1796 the regiment, the Royal Canadian Volunteer Regiment, was divided into two battalions: McDonell received command of the Upper Canadian battalion and a promotion to lieutenant-colonel. In June of the following year most of the battalion under McDonell’s command left Kingston for new headquarters at Fort George where they remained until disbandment in 1802. McDonell retired on half pay to the impressive residence he had built near Cornwall. 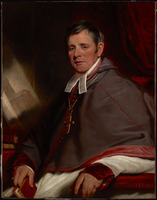 In 1803 the Earl of Selkirk [Douglas] observed, “His vanity in calling it ‘Glengarry House’ has given umbrage, as he is far from being the nearest to the chieftainship of those of the clan that are in Canada.” But until the arrival of Father Alexander McDonell* in 1804, his leadership among the Gaelic-speaking Highlanders was unchallenged. AO, ms 517. BL, Add. mss 21661–892 (transcripts at PAC). PAC, MG 9, D8, 21 (transcript; mfm. at AO); RG 1, L4, 9–16; RG 5, A1: 2188–89; RG 8, I (C ser. ), 251, 272, 283, 789, 791–94. Corr. of Lieut. Governor Simcoe (Cruikshank). Douglas, Lord Selkirk’s diary (White). Gwillim, Diary of Mrs. Simcoe (Robertson; 1911). “Journals of Legislative Assembly of U.C.,” AO Report, 1909. “Records of the early courts of justice of Upper Canada,” AO Report, 1917. Canadian Courant and Montreal Advertiser (Montreal), 28 Jan. 1811. Dooner, Catholic pioneers in U.C. J. G. Harkness, Stormont, Dundas and Glengarry: a history, 1784–1945 (Oshawa, Ont., 1946). E. A. Cruikshank, “A memoir of Lieutenant-Colonel John Macdonell, of Glengarry House, the first speaker of the Legislative Assembly of Upper Canada,” OH, 22 (1925): 20–59. W. L. Scott, “Glengarry’s representatives in the Legislative Assembly of Upper Canada,” CCHA Report, 6 (1938–39): 22–26; “The Macdonells of Leek, Collachie and Aberchalder,” CCHA Report, 2 (1934–35): 22–32. Allan J. MacDonald, “McDONELL, JOHN,” in Dictionary of Canadian Biography, vol. 5, University of Toronto/Université Laval, 2003–, accessed April 19, 2019, http://www.biographi.ca/en/bio/mcdonell_john_5E.html.